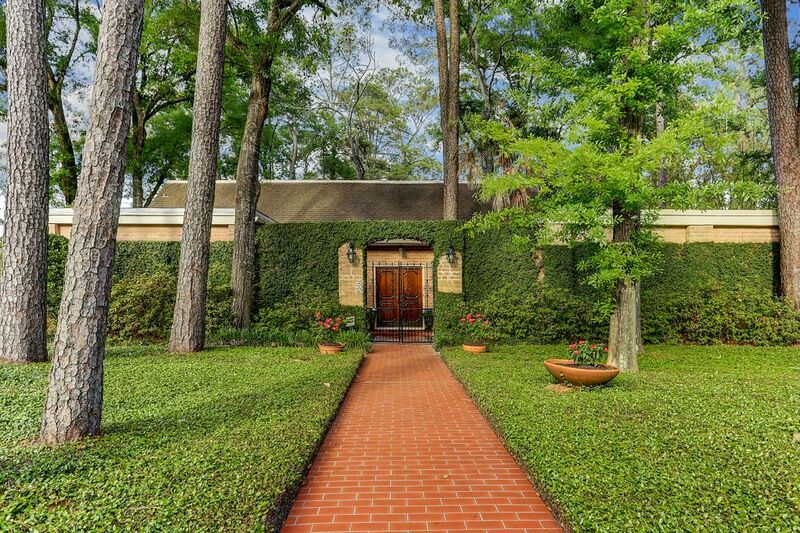 226 Vanderpool, Bunker Hill Village, TX 77024 | Martha Turner Sotheby's International Realty, Inc.
Ivy walled courtyard offers privacy for this home. Buses pickup/drops off just down the street from the home. 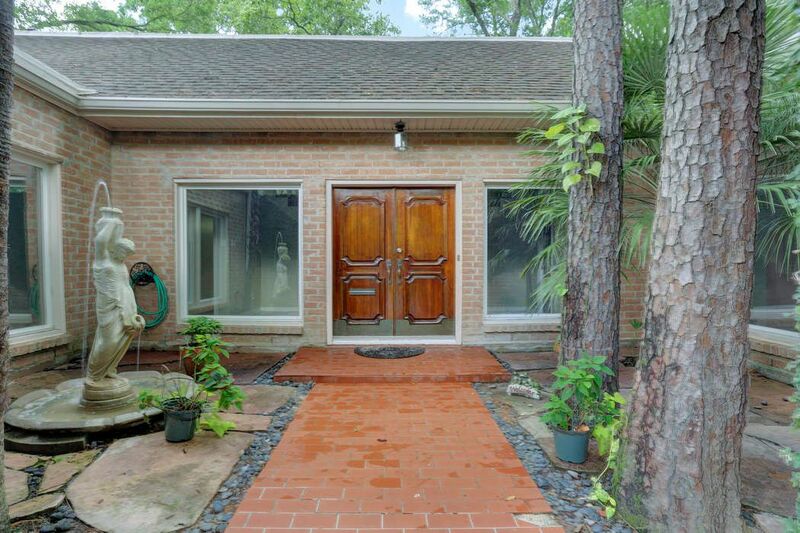 Hidden behind wall is this inviting, private courtyard with fountain and double wooden doors. Grand front lobby with 16 foot high ceiling and wall of windows. 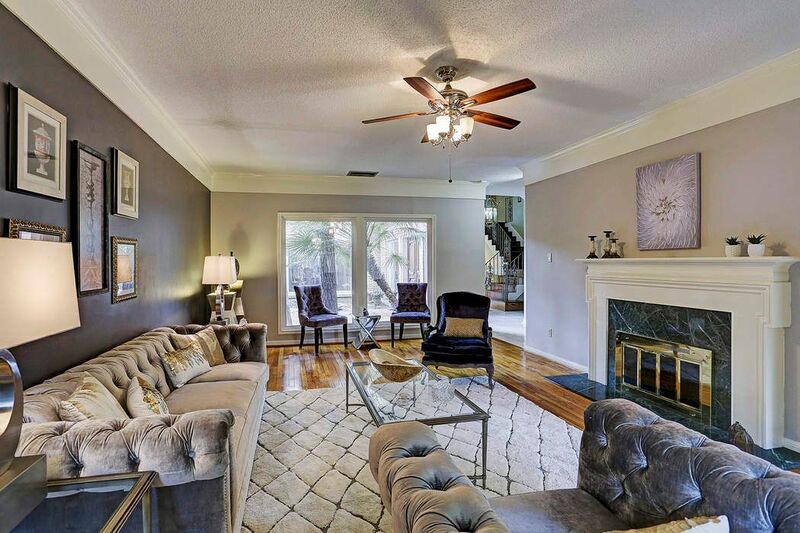 Specious formal living room with wood floors and wood burning fireplace. Living room has floor to ceiling windows on east and west facing walls. 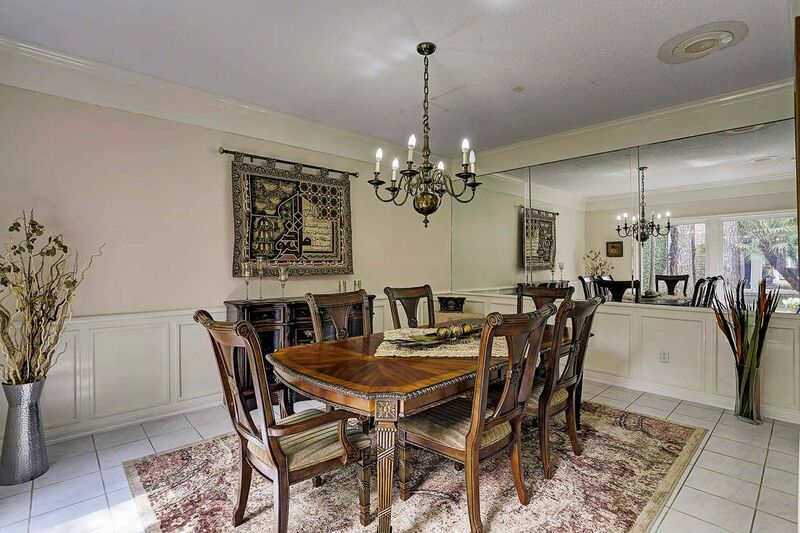 Large formal dining room has mirrored wall on one side and floor to ceiling windows on the other side looking out to the courtyard. Breakfast room off the kitchen, great opportunity to make the kitchen just the way you want it. 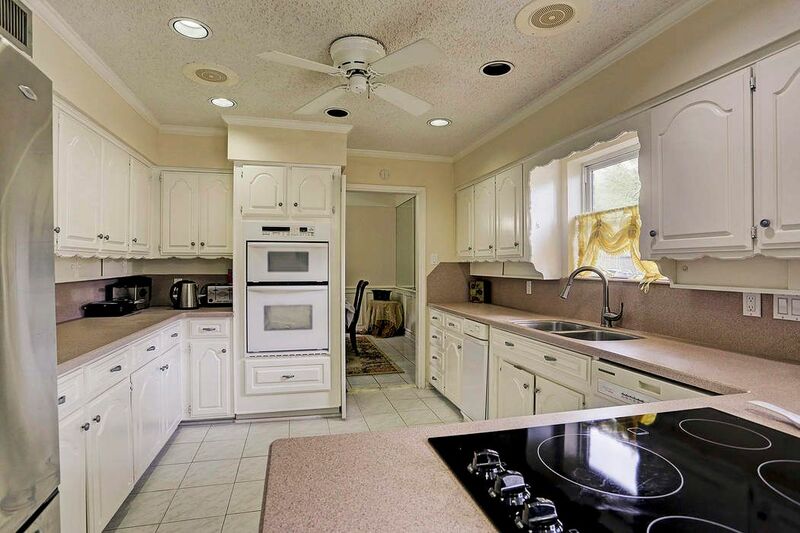 Kitchen has lots of counter and cabinet space. Refrigerator and large pantry not shown. 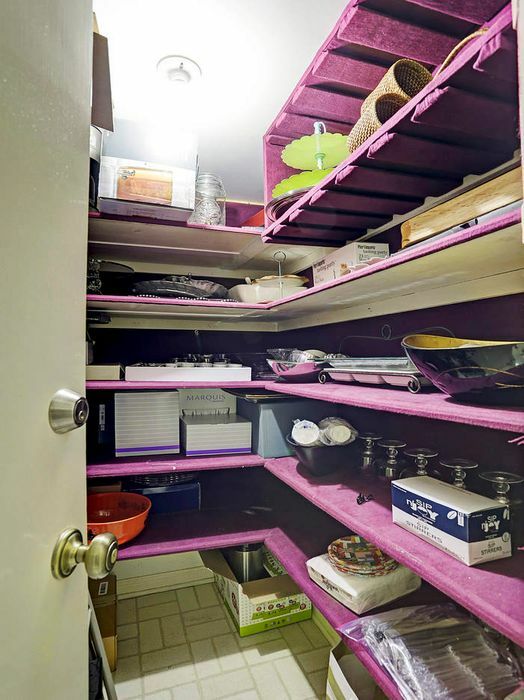 Felt lined walk-in silver/china closet is jut of the kitchen. 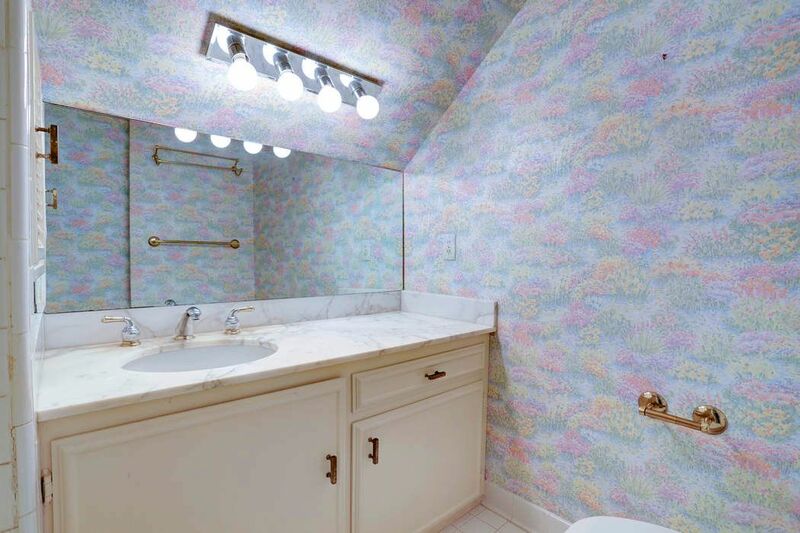 Half bath is downstairs with storage closet. 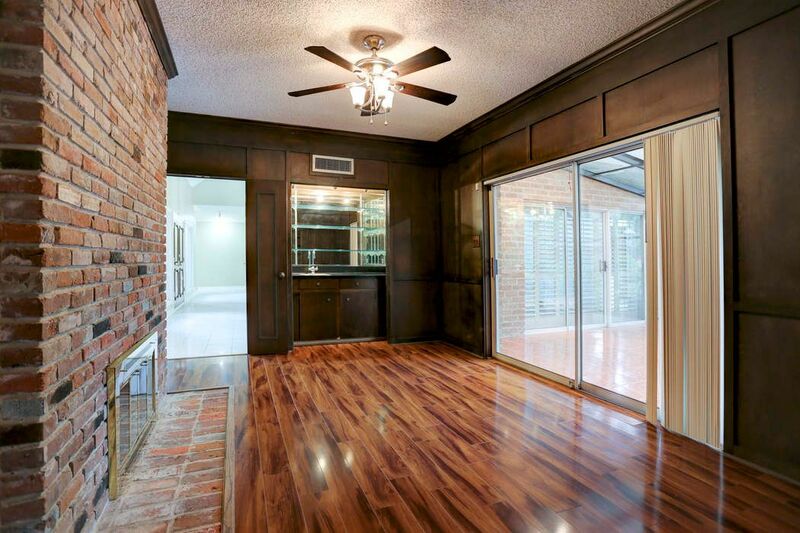 Wood paneled walls in the den with wet bar and double sided fireplace. 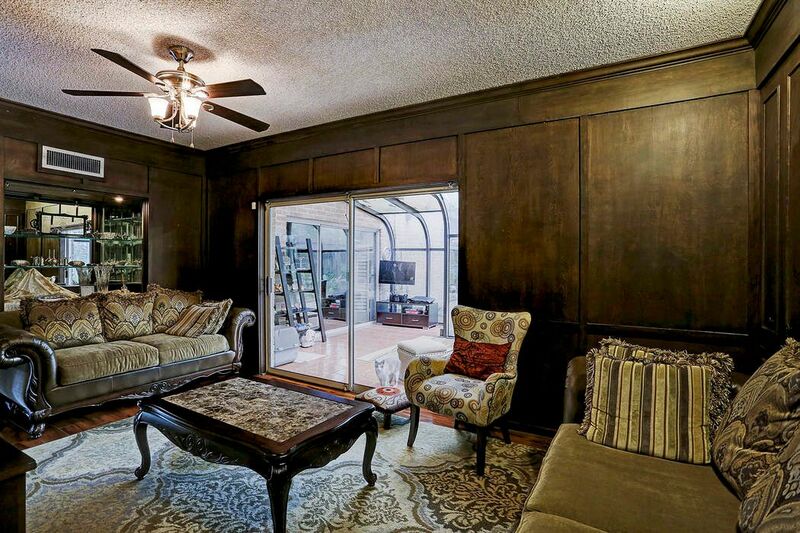 Den with sliding glass doors to Sun room, has wet bar and wood floors. Bubbling pond in this completely fenced backyard. 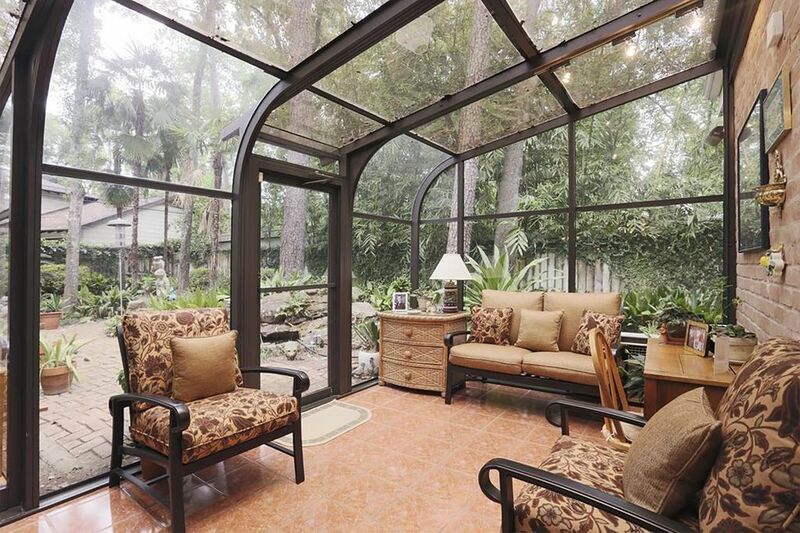 Sun room has ac and lighting. It's been used as a TV room and a sewing room, very versatile. 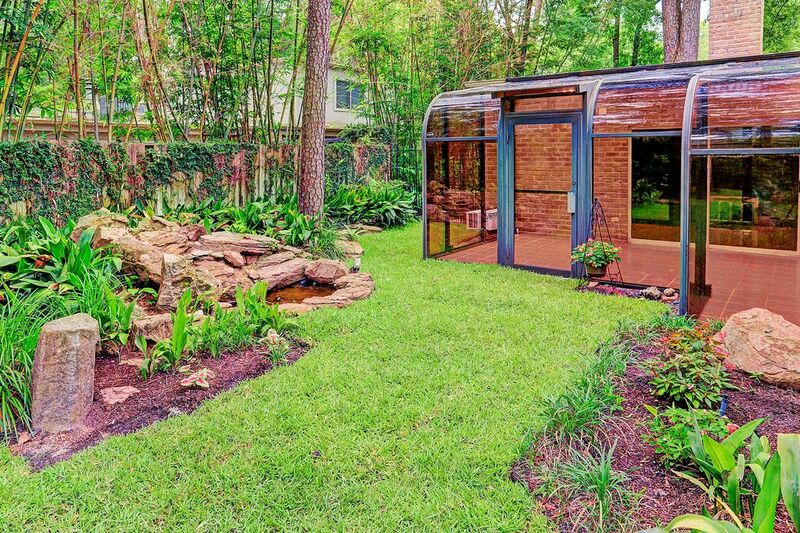 Now vacant, Beautiful views of the grassy backyard from the Sun Room. There is ac and lighting in the sun room. 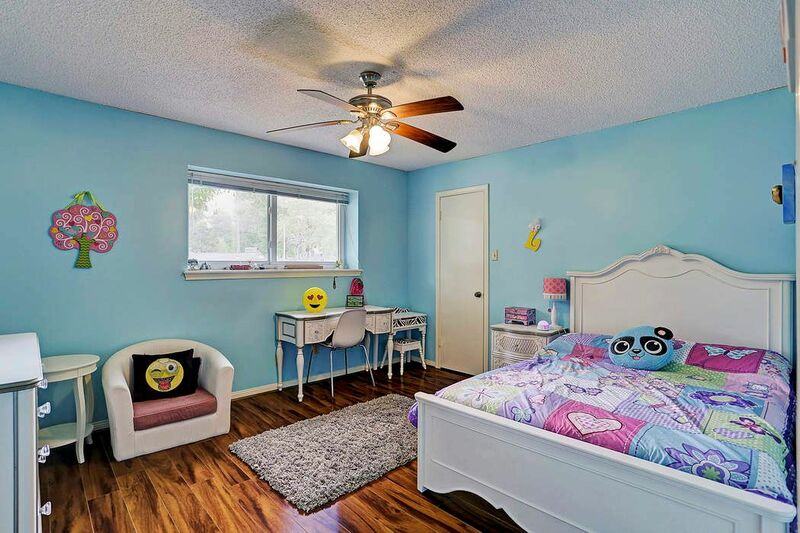 Large pool size backyard, is spacious and the gas grill is plumbed from the house. Great for an outdoor kitchen. 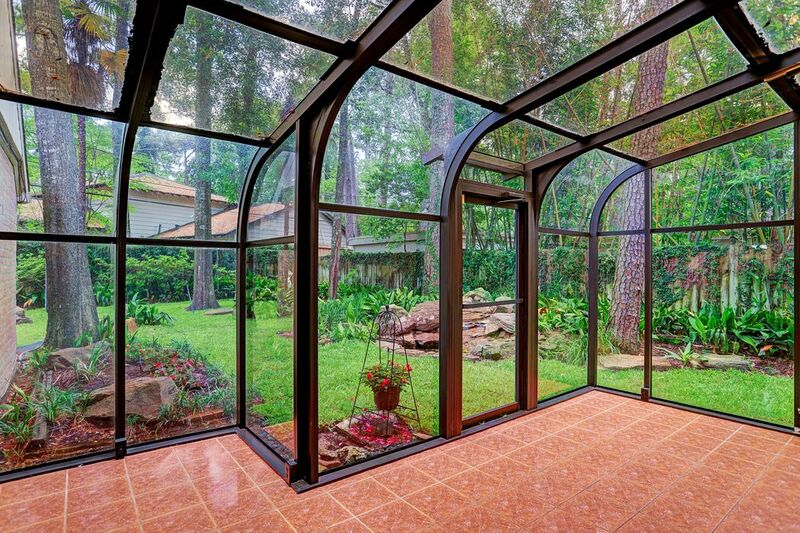 View of the side side yard from the Sun room. Backyard is completely fenced. French drains are all around the home in the backyard. Downstairs master bedroom with wood floors and access to sun room. 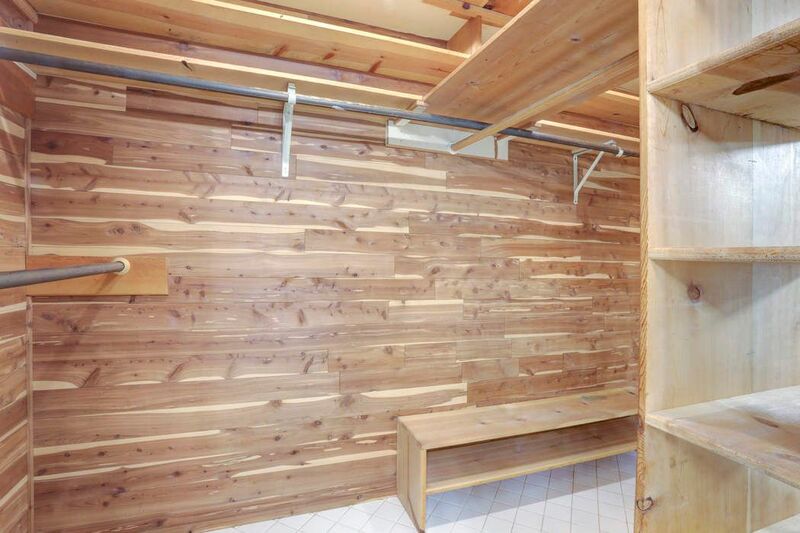 Large walk-in cedar closet in master bathroom. 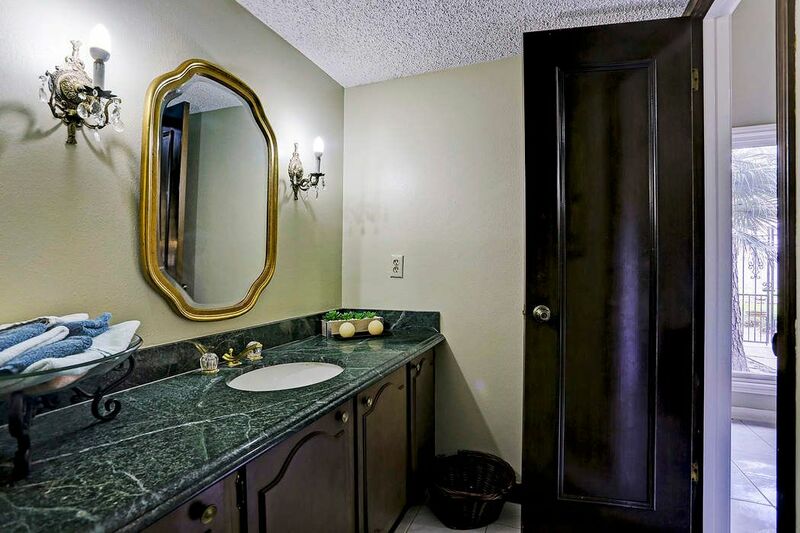 Downstairs master bathroom has marble counter tops, cedar closets and linen closet. Bidet and granite shower. 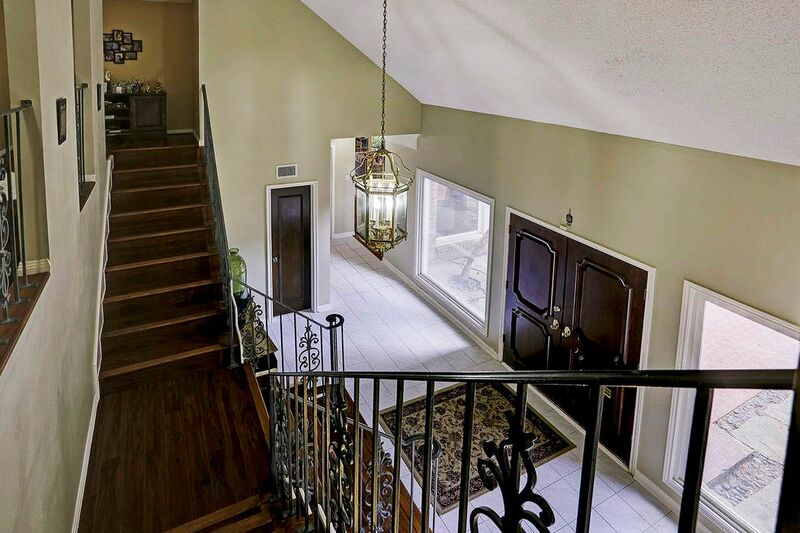 Recent wood floors and double stairs up to second floor bedrooms. 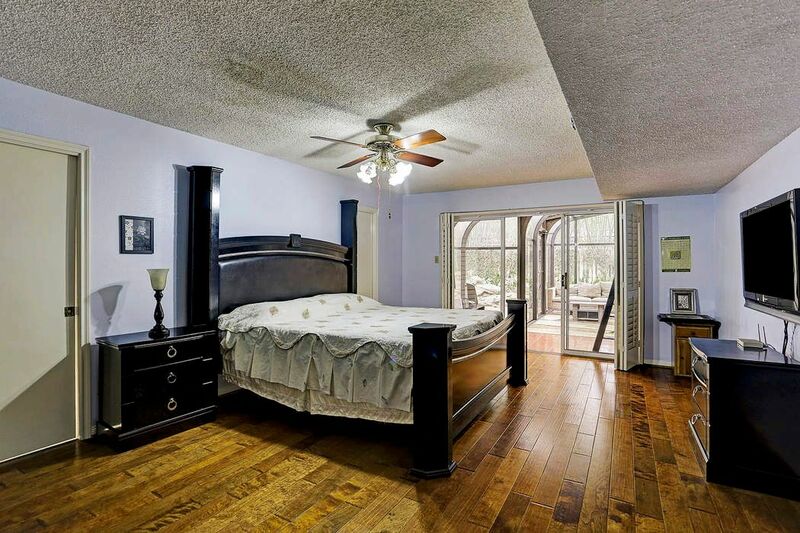 Second upstairs bedroom with large walk-in closet and recent wood floors. 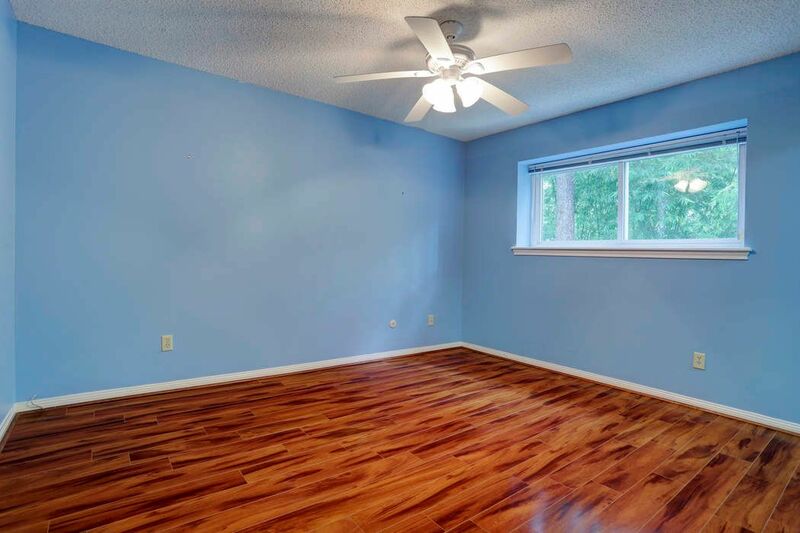 Third bedroom with walk-in closet and wood floors. 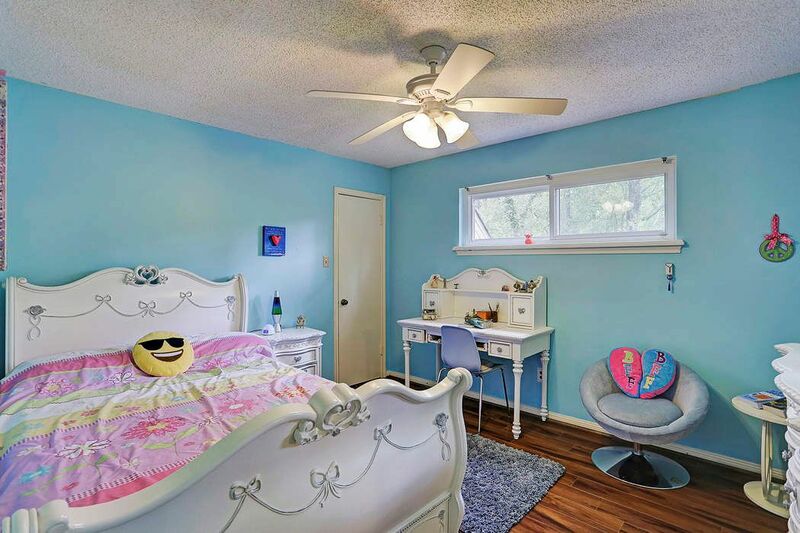 Upstairs fourth bedroom has En-Suite bathroom and wood floors. 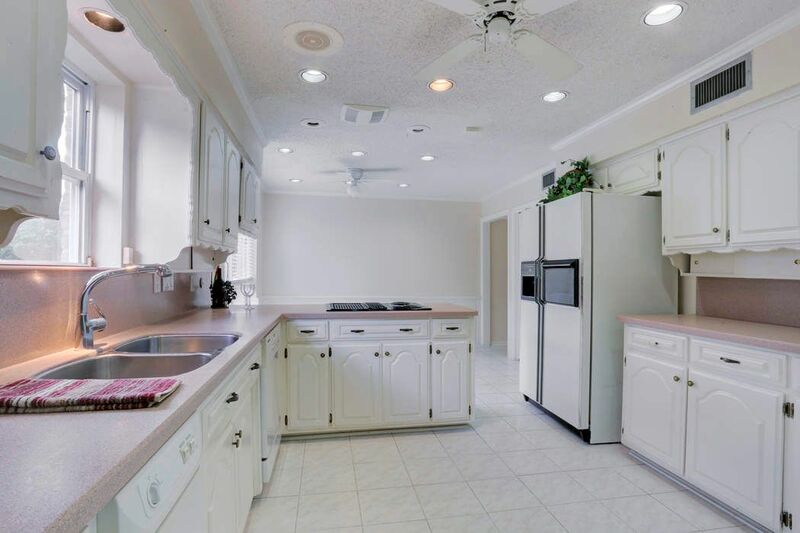 Two car garage has lots of extra storage cabinets inside, tiled floors and has ac duct work to it for parties. 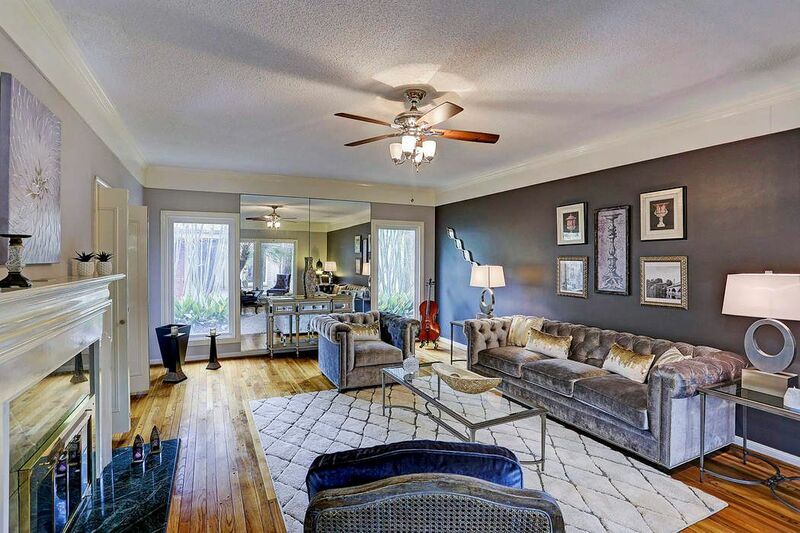 $729,900 4 Bedrooms3 Full / 1 Partial Baths3,613 sq. ft.
Did not flood. Backyard has been re-landscaped with sod. Pavers and palms have been removed, please take a look, it's beautiful. 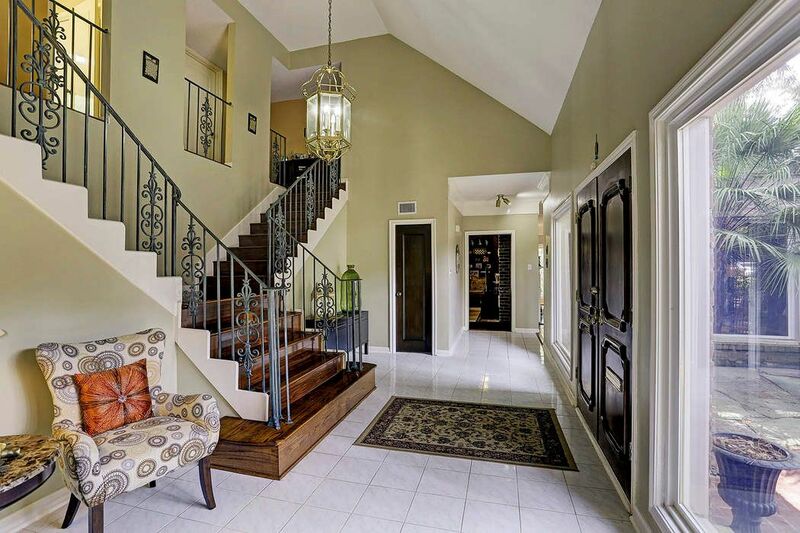 Elegant home with traditional and contemporary touches, ready for remodeling. 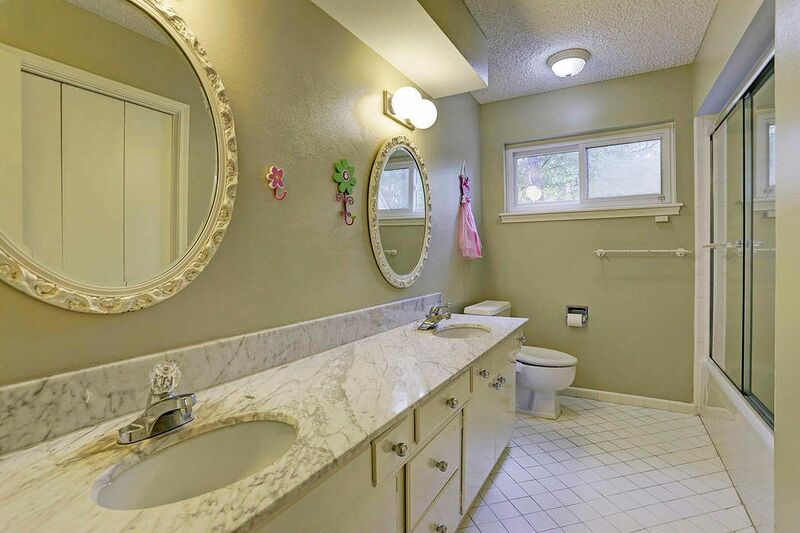 Master with en suite down, three bedrooms, two baths up. 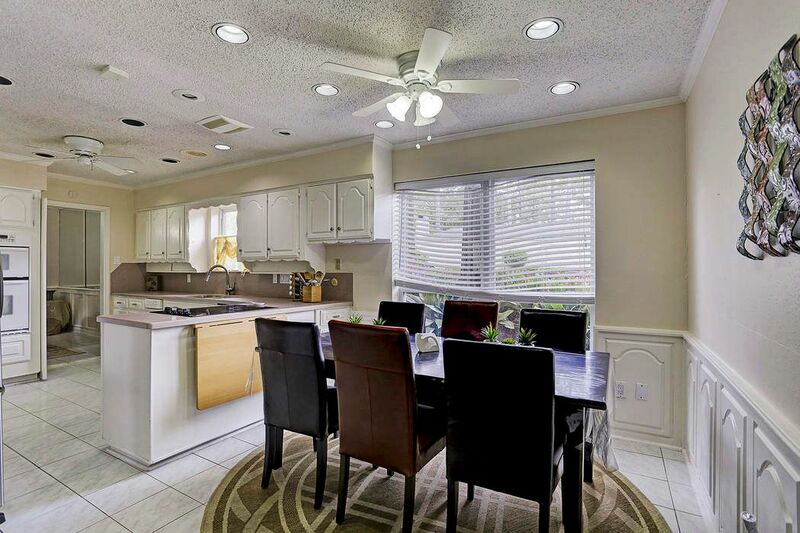 Large formal dining and living rooms for entertaining and a cozy family room and fun sunroom that is all glass and air conditioned too. 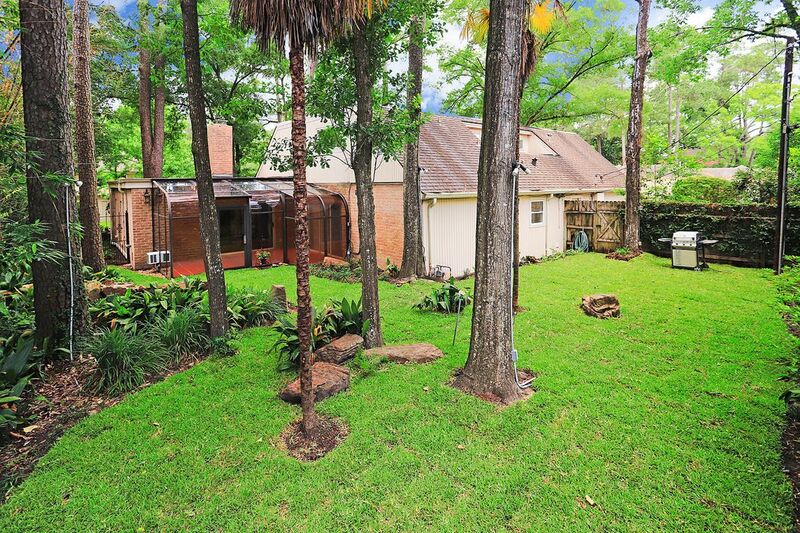 Great views of the lush backyard with pond. 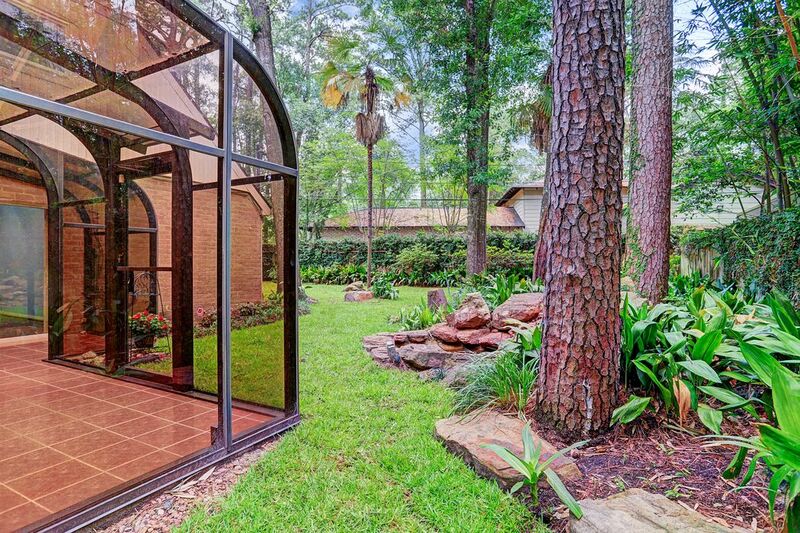 This tranquil backyard has room for a pool or a jungle gym. Large windows in the kitchen means it's light and bright, there is a silver/china storage closet and lots of other storage in the home. 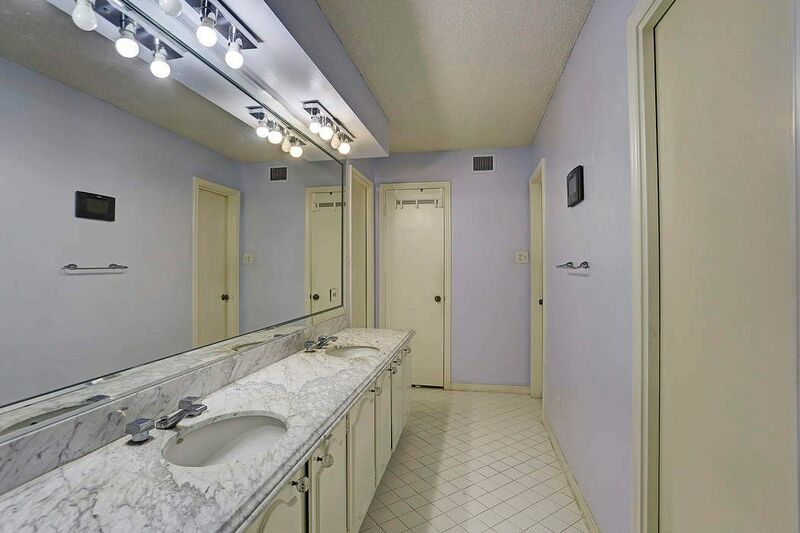 There is beautiful, like-new, hardwood floors, marble countertops in the baths, attached 2-car garage with tiled floors for parties. Zoned to Exemplary Frostwood Elementary, award winning Memorial Middle and Memorial High schools. Close to Kinkad also. Available for a membership fee is the Memorial Forest Clubhouse, tennis and pool just up the street. 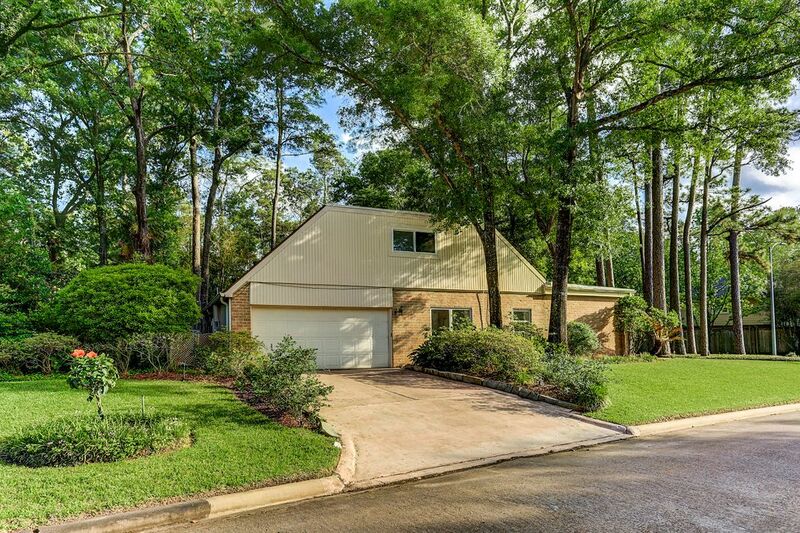 Close to City Centre, Memorial Greene, Town and Country Shopping Center, Memorial City Mall and Memorial City Memorial Hermann hospital and freeways, it's a great home and great location.